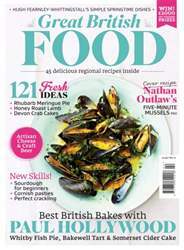 Celebrate the start of springtime with 45 amazing seasonal recipes, including Hugh Fearnley-Whittingstall's feel good food, Nathan Outlaw's easy 5-minute mussels and our best ever fish pie. 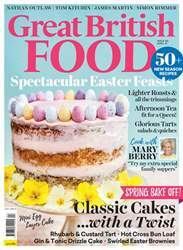 We think British bakes are the best in the world and Paul Hollywood's recipes on p.26 celebrate our favourite regional specialities, giving them a fun twist along the way. Meanwhile food writer Gareth May heads to the West Country to discover how to make the world's finest Cornish pasties, and our 'sourdough for beginners' masterclass on p.64 demystifies the art of artisan bread making so everyone can get involved. 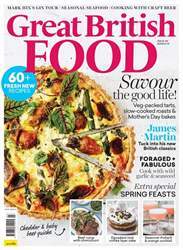 Also inside: scallop diving off the Scottish coast, new ideas and recipe inspiration for cooking with Yorkshire forced rhubarb and British honey, plus our 9-page foodie travel guide to North Wales. 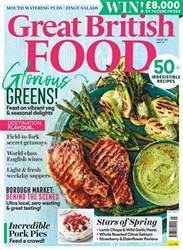 And don't forget to check out our Ultimate Guide to British pork on p.103 – you'll find pig-centric recipes from Tom Parker Bowles, tips for picking the best cut for your roast and rare breeds galore. Have a delicious month!